Nestled in a private setting in Pump Hill on 1/3 acre lot, this EXECUTIVE HOME has west yard w/sprinklers backing onto the greenbelt w/preserved natural forest & wildlife. Elegantly designed & custom built w/crown moldings, archways & oak hardwood floors thru out. Upon entering, you are welcomed by big foyer w/impressive open staircase. Upstairs are 4 large bdrms w/master big ensuite & a loft. The kitchen has big island w/granite countertops w/adjacent breakfast nook leading to 2 tiered decks. Main level formal dining, family & living rooms w/wood burning fireplaces are perfect for entertaining. Huge bsmt offers 5th bdrm & bath, games room, bar, sitting room, ample 4 storage rooms w/gun safe and b/in shelves, sound system w/speakers. Heated 3 car garage, security system, sump pump (2014), newer roof, exterior & interior paint. Enjoy all the conveniences of Glenmore Landing, biking paths & outside activities at the Glenmore Reservoir & other amenities. Steps from Rockyview Hospital, schools & transit. Home for sale at 15 Pumpmeadow Crescent Sw Calgary, AB T2V 5C8. Description: The home at 15 Pumpmeadow Crescent Sw Calgary, AB T2V 5C8 with the MLS Number C4191290 is currently listed at $1,299,990 and has been on the Calgary market for 312 days. 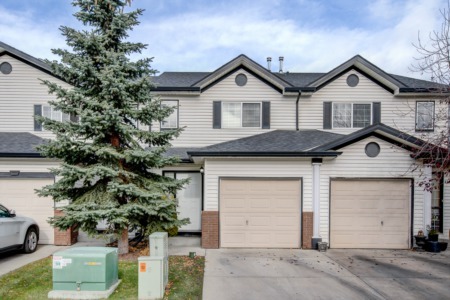 You are viewing the MLS property details of the home for sale at 15 Pumpmeadow Crescent Sw Calgary, AB T2V 5C8, which includes 5 bedrooms, 4 bathrooms and has approximately 3781 sq.ft. of living area.